I'm in the L.A. Weekly Annual Biennial!! Track 16 Gallery in Bergamot Station. 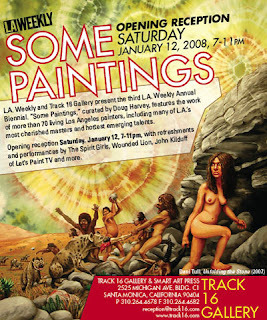 Opening reception is Sat., Jan. 12, 7–11 p.m. Wounded Lion, John Kilduff of Let’s Paint TV, and more. some of my all-time favorite artists like Robert Williams, Sandow Birk, and Lari Pittman.